When oppression is the pathogen: The participatory development of socially just mental health practice. 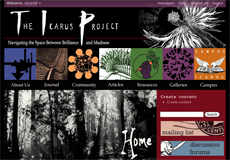 It’s amazing how relevant my MSW program is to my work with The Icarus Project right now. Fanon (1965) argued that by systematically denigrating the humanity of colonized persons, colonialism leads to a deep seated self doubt, feelings of inferiority, and identity confusion among the colonized or oppressed. Similarly, Memmi (1965) stated that oppressed individuals may ultimately internalize an identity consistent with the stereotypes of them sustained by those in power. Freire (1970) suggested that this identity can develop into a desire to distance oneself from one’s own group and aspire to become evermore like the oppressor. Conclusion: The conventional psychotherapeudic models aren’t enough. What is a more valid way of working with people? Most broadly, action research refers to a “cycle of inquiry involving plan-act-observe-reflect” (Herr & Anderson, 2005, p.9) participatory action approaches build upon this orientation by incorporating the collaboration of local community members. These approaches have the potential to be psychopolitically valid by producing action and knowledge that contribute to social change: they offer researcher’s and community members the opportunity to ‘research back’ in the same tradition ‘writing back’ or ‘talking back’ that characterizes much of the postcolonial or anti-colonial literature. (uhiwai Smith, 1999, p.7) Fields such as public health and education have established traditions of participatory action e.g. Minkler & Wallerstein, 2002), yet these approaches are largely unfamiliar and little-utilized across the mental health professions. Participatory action research (PAR) is one of the best known variants among action approaches, described by Kidd and Kral (2005) as “a process in which people (researches and participants) develop goals and methods, participate in the gathering and analysis of data, and implement the results in a way that will raise critical consciousness and promote change in the lives of those involved – changes that are in the direction and control of the participating group or community.” (p.187) In PAR, therefore, the distinction between researcher and research is challenged, so that participants are given the opportunity to be actively involved in identifying and addressing issues that affect them and their communities (Minkler & Wallerstein, 2003). Such challenges pose challenges for professional researchers: Kidd and Kral (2005) noted that participatory projects can be fraught with ambiguities that can tempt researchers to fall back on the comforts of a less egalitarian model in which they hold more power. As such, researchers must be prepared to engage in personal struggle with their own deeply embedded beliefs about what constitutes knowledge. This idea of personal engagement contradicts the relatively neutral and distant posture to which mental health professionals are traditionally trained—a posture that ultimately separates them from from those with whom they work through the establishment of a power dynamic. The work of Pablo Freire (1970) is considered by many authors to be a central theoretical foundation for PAR. In 1970, Freire published his groundbreaking work, The Pedagogy of the Oppressed, in which he argued that people’s freedom from oppression requires an ongoing process of reflection on their socio-historical context, an analysis that leads to “a critical comprehension of reality” (p.47). This critical comprehension is facilitated by an egalitarian environment in which all are involved—both teachers and students—can share and learn from each other in dialogue. However, “a mere perception of this reality,” according to Freire “will not lead to transformation” (p.37); rather, action must flow from this new critical consciousness. This process itself then becomes the subject of reflection, leading to a continuous loop of action and reflection. 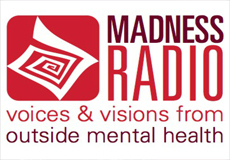 Participatory action research, therefore, suggests a direction for mental health professionals who, in keeping with a social justice perspective, would like to (1) contradict the dominant/superordinate power relations inherent in traditional research paradigms, (2) transform therapeutic practice in the context of oppression, and (3) incorporate community knowledge into the creation of transformed interventions.